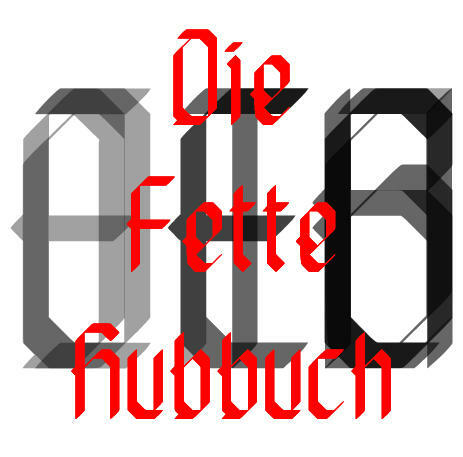 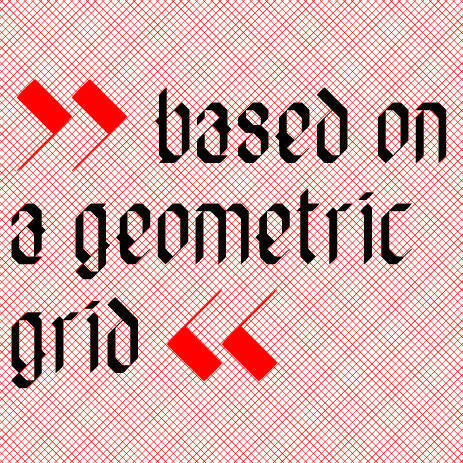 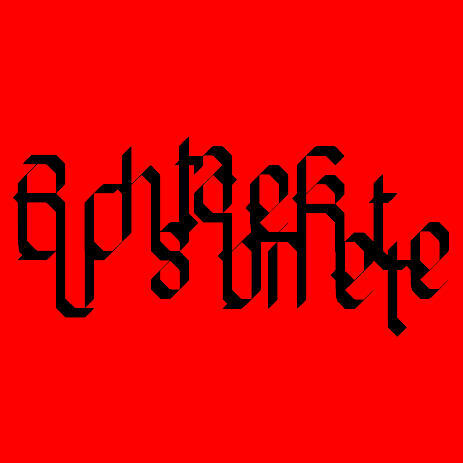 »Die Fette Hubbuch« is a contemporary blackletter typeface, based on a geometric grid. 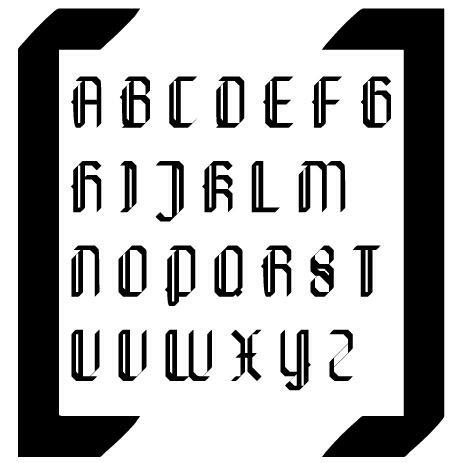 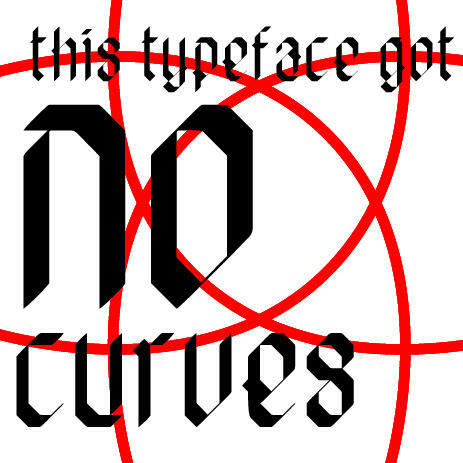 Contrary to the most classical blackletter typefaces, this typeface got no curves. 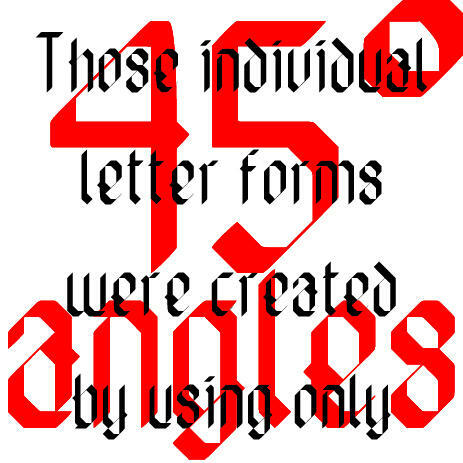 Those individual letter forms were created by using only 45°-angles.